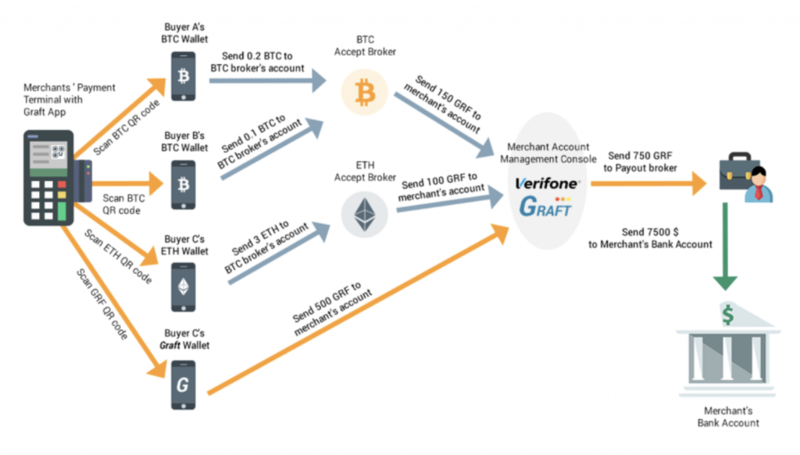 We would like to update the community on the status of Graft blockchain development. We have made a lot of plans and promises, and now it’s time for our dreams to start coming true. In order to achieve our ambitious goals, we have put together an efficient team of very talented and experienced developers. Two of them came from Monero project, which is very important for us as we forked the blockchain from Monero, and there will be many blockchain protocol changes. 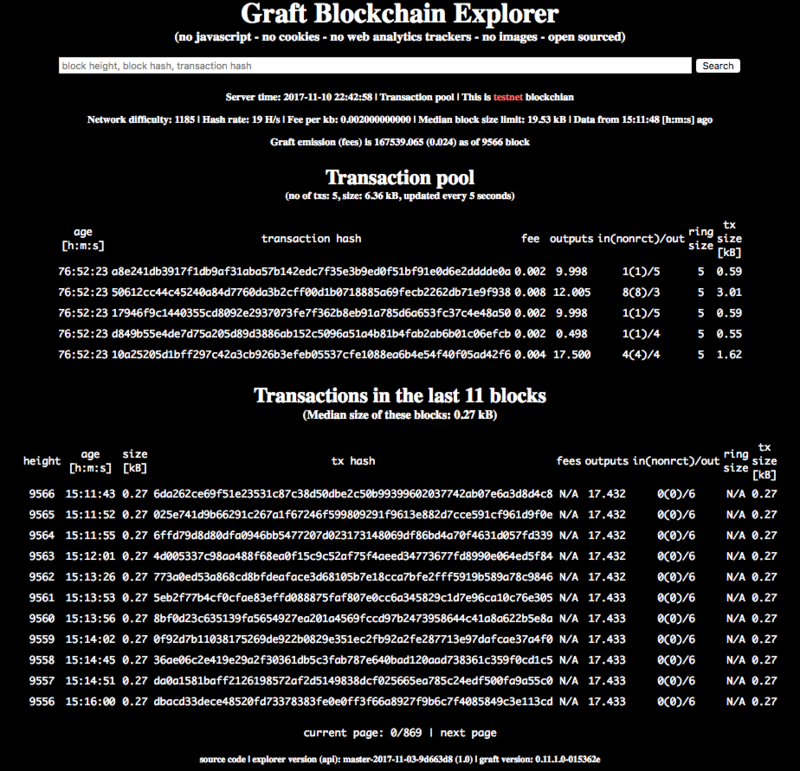 As an important milestone, we have finished some initial blockchain code modifications which allowed us to set up a public testnet with the first Graft block explorer. While the testnet is open for access from the Internet, we have not published yet any information on node/supernode setup, configuration, and connectivity since we are still frequently updating it, and we would like to make sure it is stable enough to be open for public view and alpha testing. We will notify everyone once we publish the instructions so anyone will be able to connect and test the basic network. The majority of the work, however, currently is concentrated in supernode code which is — unlike network node forked from Monero — being designed from scratch. The proof of concept supernode was written in Python for the sake of rapid prototype development. After thorough review, the team decided to refactor the supernode code in C++ in order to keep a single technology stack and optimize the development process and network performance. Although the supernode and network node are based on the same technology stack now, the supernode is still deployed as a separate process (daemon), and we intend to keep it this way, at least for the near future. 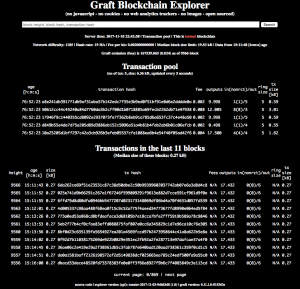 Also, we are working on instructions for miners, including GPU and mining pools. Initially, it will be possible to mine on CPU, so the entire full supernode can be hosted on single machine. That’s how the typical testnet supernode is configured. On the mainnet, however, the network hashrate will grow fast, which will require GPU, then multiple GPU, and eventually mining pools to be set up in order to efficiently mine and maintain the full supernode. We are working on providing instructions for GPU miners as well as creating a first mining pool. The GPU mining machine can be detached from the supernode, which enables a hybrid “on premise/cloud” configuration, where, for example, the GPU mining rig is located at home while the supernode is hosted in AWS. We are still on initial design phase with those apps, but we believe we will be able to demonstrate the working prototypes before the ICO. Stay tuned!